Maisey Lazarow has mixed feelings about returning to Fairham Island after a decade away, but with what was supposed to be her HEA turned into loss and disillusionment and her once promising career stalled, her choices are limited. She knows her brother Keith is emotionally fragile and needs her support, but the thought of living at Coldiron House, the home of Josephine Coldiron Lazarow, her arrogant, controlling mother, is more than Maisey can bear. Even a hurricane-scarred cottage at Smuggler’s Cove is preferable. The rental beach cottages belonged to Maisey’s late father who had promised that they would one day be Maisey’s, but like almost everything else on Fairham Island, the cottages are under the control of Josephine. Maisey is disturbed to learn that her mother has bartered one of the nine cottages to the owner of High Tide Construction in exchange for his repairing storm damages on all the cottages and accepting responsibility for maintenance and upkeep on the repaired cottages. Another unpleasant shock is in store for Maisey when she discovers the new owner of cottage #5 is Rafael Romero. Eighteen years ago, Rafe was the local bad boy to whom a sixteen-year-old Maisey surrendered her virginity in a foolish act of rebellion against her mother who despised the kind of “riffraff” Rafe represented. The mature Rafe has little in common with the young rebel who was almost too drunk to perform the night he met Maisey. He is now a single father devoted to Laney, his blind daughter, and proud of the reputation his small company has earned. He is attracted to Maisey, but he wants more than the no-ties physical relationship that seems to be all she is willing—or able—to offer. But Maisey soon finds that her feelings for Rafe are not so easily contained, and Lacey makes her own claim on Maisey’s heart. When Rafe uncovers a stash of old photographs that leave Maisey with haunting questions about the unidentified female child in the family pictures, she needs Rafe for emotional support and for practical help. Is the child a secret sister? If so, what happened to her? Did she perish in an accident, or is the truth more sinister? Maisey can’t rest until she solves the mystery. Only when her questions have answers can Maisey look toward a new life with Rafe and Lacey. 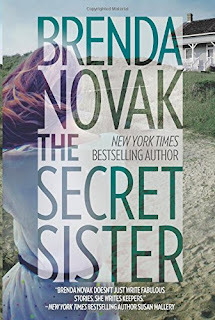 The first novel in Brenda Novak’s new Fairham Island series is a combination of romantic suspense and women’s fiction. It is a wholly intriguing tale as Maisey’s struggle to discover who she truly is coincides with a mystery that makes her question all she thought she knew about her family and a new love for which her heart is not fully prepared. 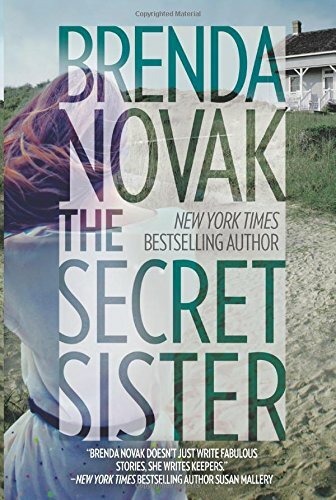 Novak’s readers know they can depend on her for captivating characters and compelling plots, and she does not disappoint them. I found both Maisey and Rafe sympathetic, likeable characters, and the questions surrounding the mystery sister kept me turning pages with rapt attention. I especially liked the touch of the gothic that cast shadows of doubt in many directions. I highly recommend this book. And the fact that it is the first in a series makes me a very happy reader. One caveat, however: readers who limit their reading to books in which the romantic relationship is front and center for the full story may not be happy with this book. I like the idea of some mystery/suspense with gothic overtones -sounds like an ineresting series. I enjoy reading Brenda's books. Just this scene you posted has me intrigued.